The 10 Best Milkshakes in Mississippi! Cool, creamy, and delicious, a milkshake is the perfect indulgence. Whether your favorite is classic vanilla with a cherry on top or you're craving an apple pie shake topped with graham cracker crumbles, you'll find what you're looking for at these 10 great places to get a milkshake in Mississippi! Sal & Mookie's is a fun place to get pizza and ice cream for the whole family! In addition to regular shakes available in any of their 24 ice cream flavors, you'll also find specialty shakes like the apple pie or banana milkshakes. Ed's Burger Joint in Hattiesburg has a cool, rock 'n roll kind of vibe that's bringing in customers from all around the Pine Belt. Their hand-dipped shakes come in fun flavors like Cap'n Crunch, Elvis '77, and Shipley's Donuts. 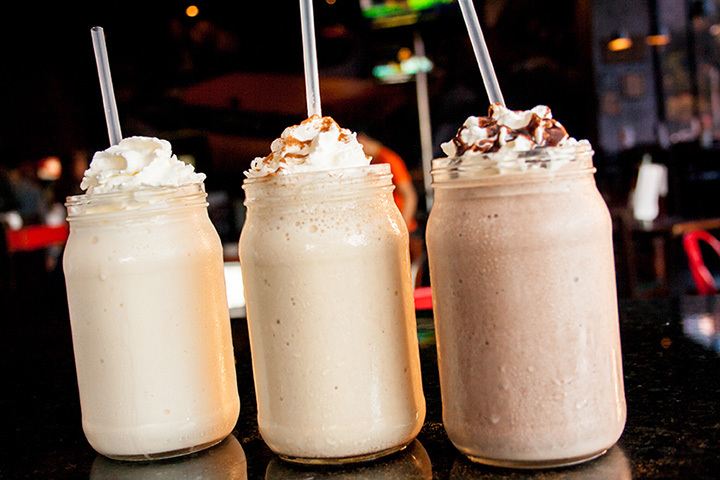 There's nothing like a hand-spun milkshake, and Bim Bam Burgers gets it right. Instead of having a variety of flavors, they focus on perfecting the classic milkshake. Pair it with the Bim Burger for a taste of Americana. Stafford's Big Burger in West Point is the kind of place where you know the food is great—the building doesn't look like much, but they're usually busy. Choose from 11 different milkshake flavors, including butterscotch and pineapple. When you visit Dairy Kream in Tupelo, you know you're getting the exact same experience that customers have been getting for years. Shake options include the classics, cherry, butterscotch, and the popular Purple Cow. Edd's Drive-In opened in Pascagoula in the 1950s. The menu is still pretty much the same as it was back then, preserving the drive-in experience for new generations to enjoy. Choose from chocolate or vanilla shakes, and be sure to grab a chili burger. If you love rock 'n roll, creative sandwiches, and, of course, delicious milkshakes, you have to try Topher's Rock 'N Roll Grill in Hattiesburg. Choose from classic shakes, including strawberry and peanut butter, or premium shakes which include java mocha and chocolate banana. When you're looking for a throwback place to grab a delicious shake in Natchez, there's no better choice than The Malt Shop. They play 1950s music to set the mood for you while you enjoy your burger, onion rings, and chocolate malt shake. Gino's Hamburgers & Catfish is another down-home eatery serving classic food and delicious milkshakes in the Magnolia State. Gino's is tucked into the lower Delta, and the kids will love the jukebox and classic shakes as much as you will! If you love milkshakes but you're trying to watch your figure, stop by one of the three Super Shakes locations in the Jackson area. They offer delicious protein shakes in a variety of flavors that don't carry any additional guilt.